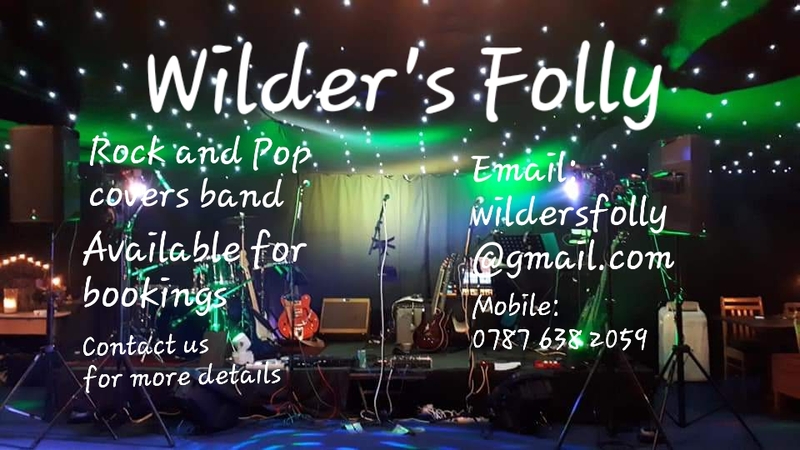 Formed in April 2018, Wilder's Folly are a 5-piece band based in Reading, Berkshire. We play Rock and Pop covers around Reading and the surrounding area. We come with full PA, backline and lighting. We can also provide a smaller solo/duo/trio act to suit smaller venues. There will be a small entry charge for non-members.